Some swatches.. 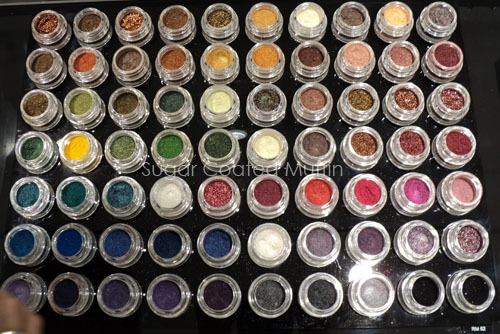 The eyeshadows are pigmented! 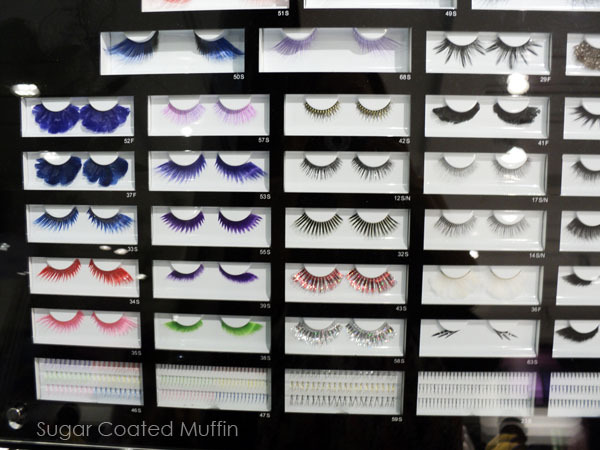 Falsies collection. 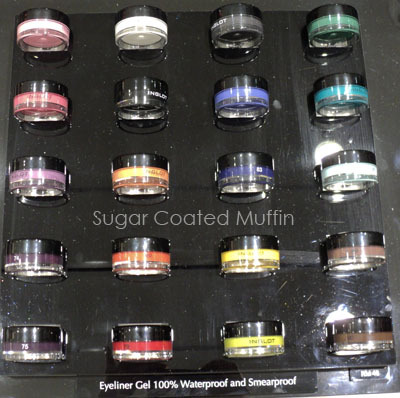 There are even colourful individual lashes! Nail stuff! 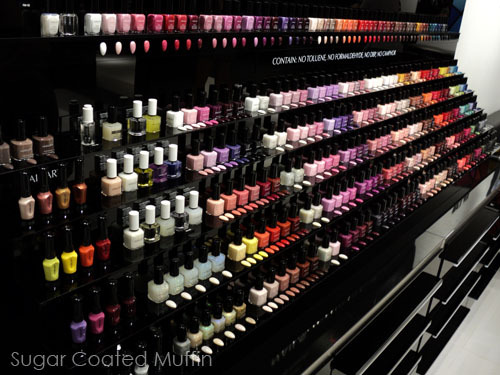 There's normal polishes, O2 polishes, top coats, repairing ones, base coats, glitters, mattes (even the top coat that makes your nail polish matte) and nail art pens. 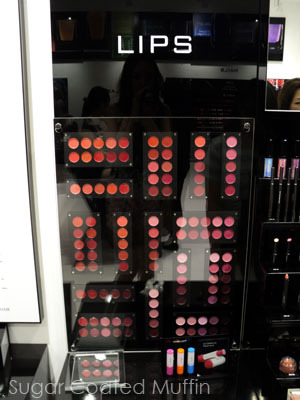 The three colourful tubes at the bottom are lip treatments. These totally caught my eyes! So pretty.. @_@ Apparently to make a 3D effect on your lips. 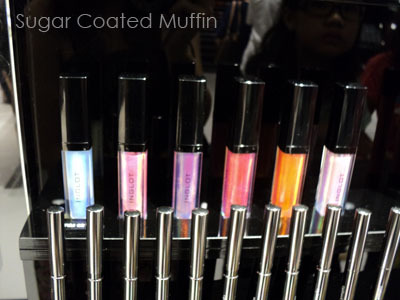 Glosses come in a cute test tube like packaging. 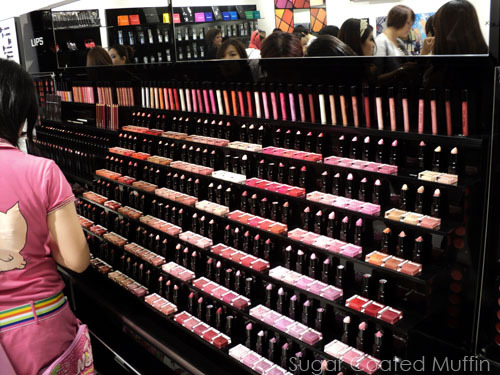 So many lip colours!! Some mattes on the right. 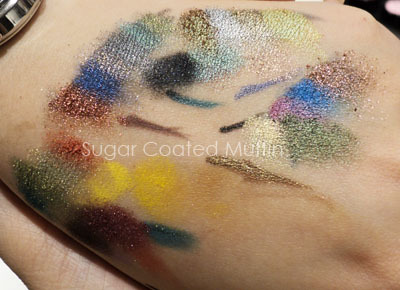 More eyeshadows and liquid eyeliners on the left upper corner. 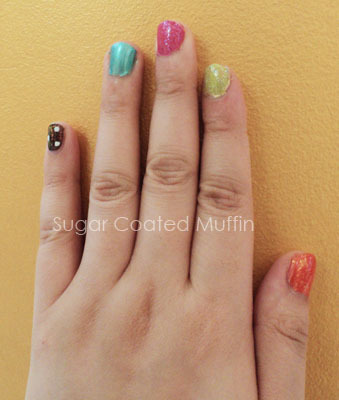 So colourful plus some of them are glitter/shimmer meant to be used above colours. 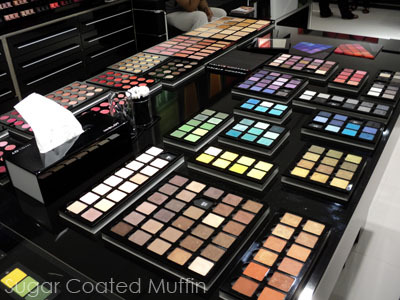 Some of them are pigmented while others are not. Pigments. These are super duper awesome!! 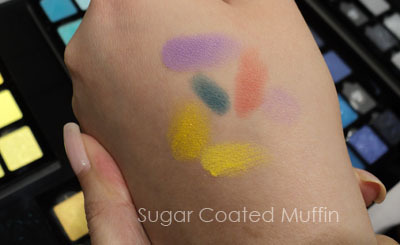 So so so so pigmented and the colour comes out beautiful. I didn't manage to snap everything in the shop as the SA told me not to take pictures =_= There's still like foundations, more eyeshadows, makeup removers and concealers. 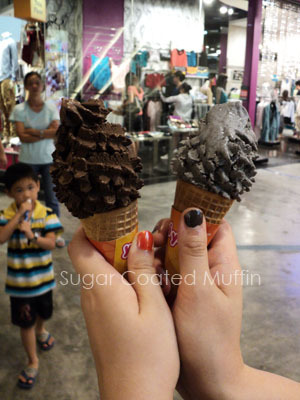 Can't wait to go there, I heard a lot of good stuff about their product. 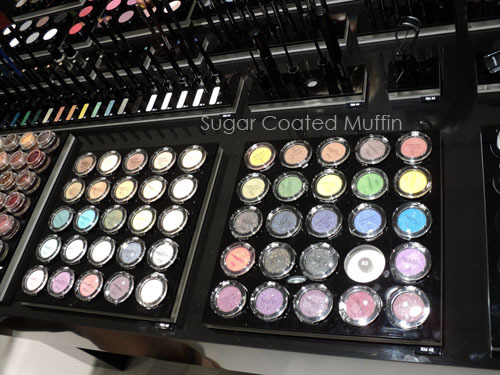 Really want to try their eyeshadow. There's one thing I'm very interested in - the price! LOLX! Hahaha. Sorry the salesperson told you not to take pictures because I was really loving the shots! I especially liked the falsies now that my extensions are falling out.